Eating disorders are mental health conditions that lead to serious and unhealthy eating patterns. The most well-known are anorexia nervosa (often called anorexia) and bulimia nervosa (often called bulimia). There are other eating disorders, including binge-eating disorder and what's called "eating disorder not otherwise specified". As well, a disorder called avoidant restrictive food intake disorder (ARFID) has recently been recognised. Many people think of eating disorders as conditions that mainly affect women, or perhaps something gay men might get. This can make it very hard for a man to get help for an eating disorder, or to find support. But more men are getting eating disorders. Most eating disorders are more common in women than in men. Anorexia is about 10 times more common and bulimia is about four times more common in women. However, ARFID is more common among males. In New Zealand, between 2% and 3% of women aged from 18 to 44 are thought to have had an eating disorder at some time in their lives. Depression, suicidal thoughts, drug or alcohol use, and anxiety are all common in people with eating disorders. Some people have also survived sexual, physical, or emotional abuse. 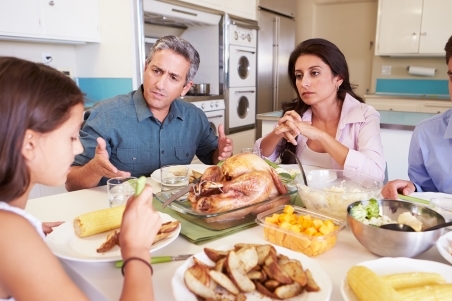 Eating disorders affect people of all ages and in all social classes. They are also becoming more common and affecting people at a younger age. On rare occasions, someone with an eating disorder can become so seriously malnourished that they need emergency treatment in hospital. If someone you care about with an eating disorder has collapsed, is having seizures, or is confused, call 111. Written by the South Island Eating Disorders Service, Canterbury DHB. Adapted by HealthInfo clinical advisers. Last reviewed March 2018. How do I know if someone has an eating disorder?